Nanbuhouki is made in Kunohe, Japan. 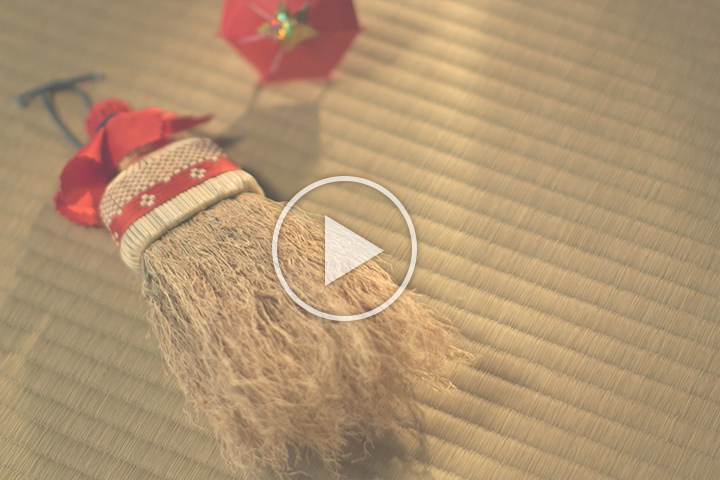 Nanbuhouki is the name of the broom we craft in Kunohe, Japan. The broom has a special property - “wavy tips”. This unique quality was discovered by accident when broomcorn was grown in the cold climate of the Kunohe region. Initially, the wavy quality of the broomcorn was disregarded as inferior due to its appearance, but soon it was discovered that the wavy tips were exceptionally good at sweeping up dust. 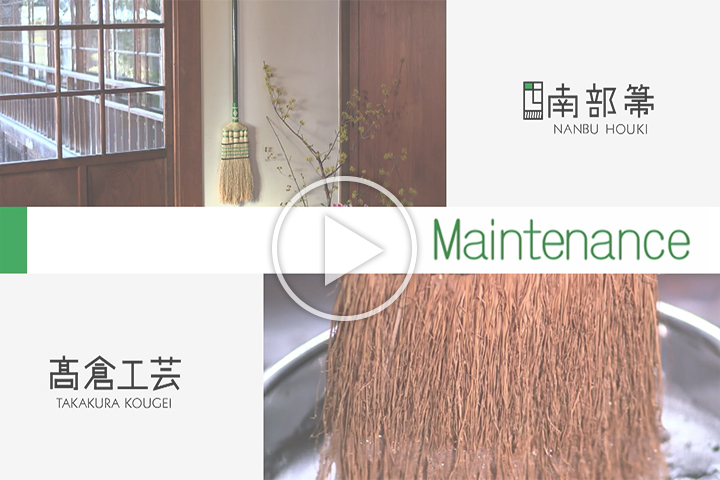 Now, the wavy tips are what distinguishes Nanbuhouki from other common brooms. The wavy tips of broomcorn are the most significant property of Nanbuhouki. The tips catch any tiny piece of dust or hair deep within a rug or carpet. Moreover, the broom is perfect for cleaning delicate clothing, such as a cashmere sweater, since the tips are delicate and soft. It takes one entire year to make a Nanbuhouki. We start by planting and cultivating broomcorn plants in the spring. Taking care of the plants takes until late summer or early autumn. Finally, we assemble the brooms in the winter. From planting to weaving, every step in the process of creating our brooms is done by hand. All of our products are made by hand and supervised by a 匠 -Takumi- craftsman who works with precision in the traditional Japanese way. We offer various types of products, such as a general floor broom, a whisk broom for clothes, and more. Your Nanbuhouki will last for 20-30 years with proper care. 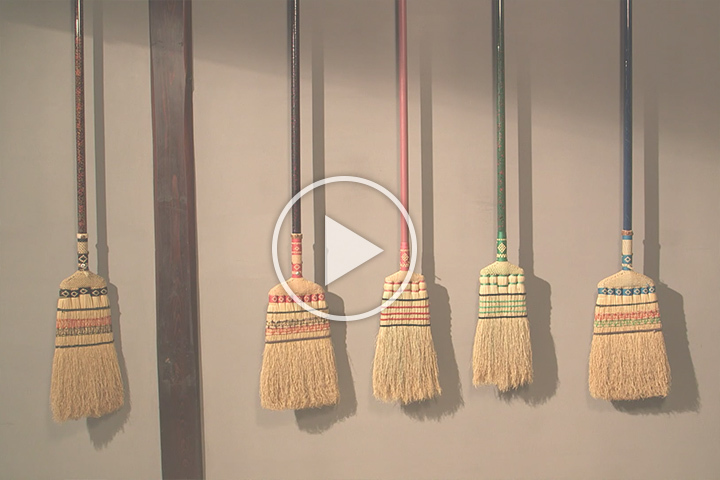 We have made videos that show how to use and maintain your broom for long-lasting usage. For more tips, please check “USE & CARE”. Nanbuhouki is handmade from natural materials. Every broom is unique and one-of-a-kind The best way to find the right broom for you is by testing different ones. We are working hard to showcase our brooms in different countries. We believe that speaking directly with customers helps to get them excited about our brooms and find the perfect broom to suit their needs. We are looking forward to seeing you at our exhibitions in the future.